Also from Charlene Schurch's "Hats On!". 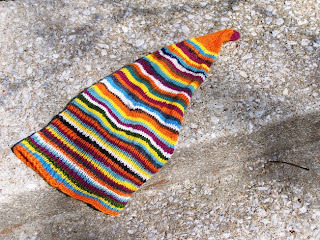 A long stocking striped stocking cap that I made for my husband. It was fun project - I was able to use up a lot of scrap yarn.